Nessebar is one of the most attractive town-museums in Bulgaria, listed in the UNESCO world heritage list. 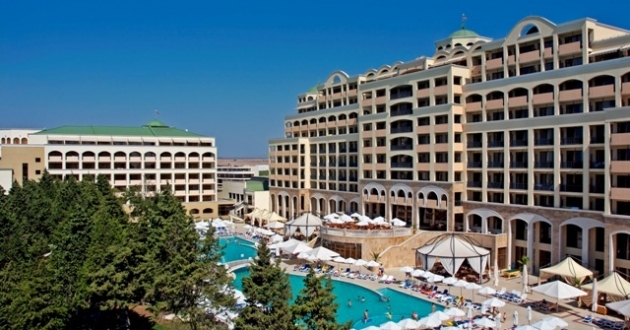 The town is located in the Northern part of the Burgas (Bourgas) Bay, where the peninsula juts out into the Black sea, breaching sharply the monotonous arc of the smooth sandy sea-shore. 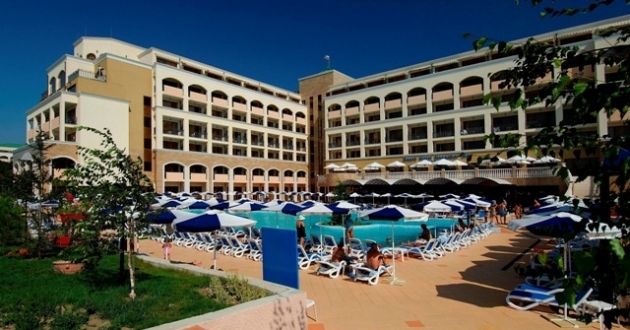 The resort is located at 35 km away from Burgas Airport, 100 km from Varna Airport, only 2 km from the biggest Bulgarian Black Sea Resort – Sunny Beach and10 km from Sveti Vlas. Nessebar has two beaches with really fine sand. The strip between Nessebar and Ravda is covered with lovely sandy dunes and some areas of the beach are considered as Natural Phenomena. Nessebar is divided in 2 parts - the Old Town and the New Town. Nessebar is one of the oldest settlements in Europe (about 9000 years). It was built over the foundations of a Thracian fishermen village, called Menabria. In VI century B.C. it becomes a colony of sailors from Ancient Greece. Nessebar has over 40 churches from different ages, 14 of which are exceptionally well preserved. One of the oldest churches is the “Basilica” on the sea-shore, built in V century A.C. Another famous monument is the St. Stefan Curch, famous for its beautiful frescos and ceramic figures of different colours on the facade of the church. Some other remarkable architecture monuments are the Nessebar houses, built in the typical local style from XVI till XIX century A.C. The three water-mills in the town are from the same period. Today Nessebar is one of the most preferable beach resorts in Bulgaria, because of the unique atmosphere of its Old Twn and also because of the big number of modern hotels in the New Twn, built during the last several years. What to do in Nessebar? You can find everything, what you are looking for here! There are ancient buildings and historical monuments, as well as quiet restaurants, fashionable cafes and discos and cozy souvenir shops. 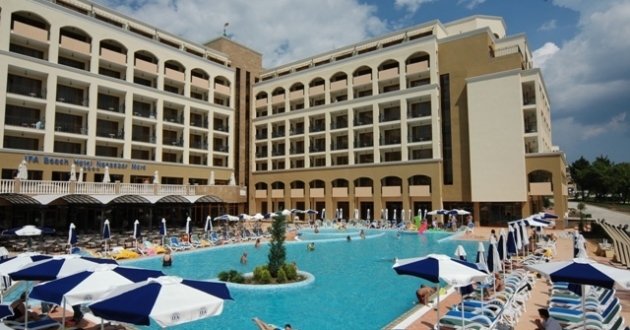 Sunny Beach – Bulgaria's biggest beach resort, is only 2 km far, offering a lot of amusements, entertainments and first-class night life. All Inclusive, EARLY BOOKING DISCOUNT !